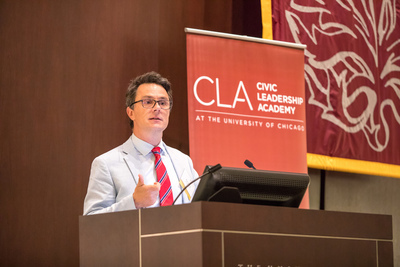 On January 10, the Civic Leadership Academy at the University of Chicago (CLA) announced the 30 government and nonprofit leaders selected for its 2019 class. 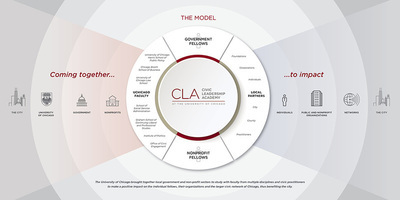 Developed by the University in 2014, CLA is an annual leadership development program for emerging and high-potential leaders in non-profit organizations and local government agencies within the City of Chicago and Cook County. 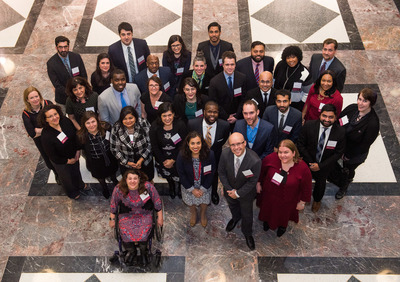 Prior to this class, CLA counted 119 fellows as program alumni among its growing network. This is the CLA’s fifth cohort. 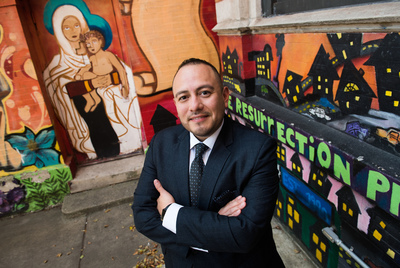 The new fellows, who represent the City of Chicago, Cook County, and citywide and community-based nonprofit organizations, were introduced at a ceremony at Venue SIX10 in Chicago that featured Mayor Rahm Emanuel as the keynote speaker. 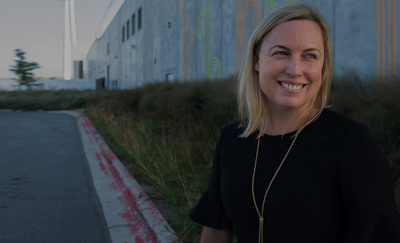 While there are numerous leadership development programs for the private sector, such opportunities specifically designed for nonprofit and government leaders are rare, but necessary. 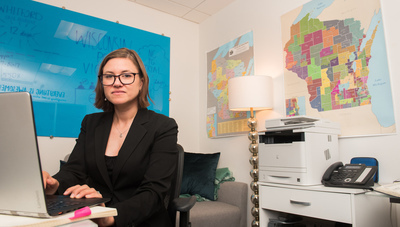 The Office of Civic Engagement and Harris launched the Civic Leadership Academy in 2014, in partnership with the University’s other professional schools – Chicago Booth School of Business, Graham School of Continuing Liberal and Professional Studies, UChicago Law School, and School of Social Service Administration – and the Institute of Politics, as well as Local Initiatives Support Corp. (LISC) Chicago, Civic Consulting Alliance, the City of Chicago, and Cook County. 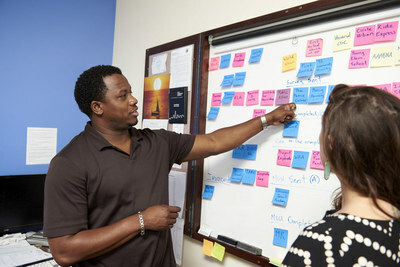 Last year, Harris assumed full management of the program. The Fellows will begin a rigorous six-month program that will teach essential leadership skills and provide the time and space to focus on a specific leadership skill that will benefit their work. In March, the fellows will travel to the University of Chicago Center in Delhi, India, for a weeklong global practicum. Upon completion of the program, they will receive a certificate in civic leadership from Harris. 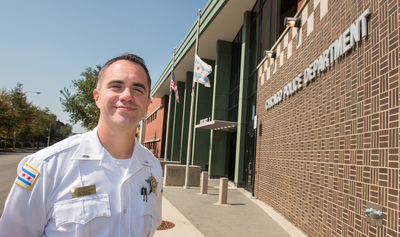 By bringing nonprofit and government professionals together, the Civic Leadership Academy fuels an exchange of ideas within the University community and across the city that will help improve practices and civic outcomes. 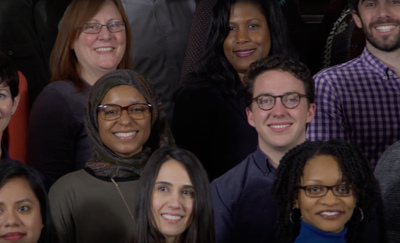 The 2019 class includes 15 fellows who work for nonprofit organizations, eight from city government, and seven from county government. With generous support from the Searle Funds at The Chicago Community Trust, Microsoft Corporation, JPMorgan Chase, Capital One, the Field Foundation, and the Robert R. McCormick Foundation, the Office of Civic Engagement and Harris launched the Civic Leadership Academy in partnership with the University’s other professional schools and the Institute of Politics, as well as Local Initiatives Support Corp. (LISC) Chicago, Civic Consulting Alliance, the City of Chicago, and Cook County. Harris has been the academic home of CLA from its inception.